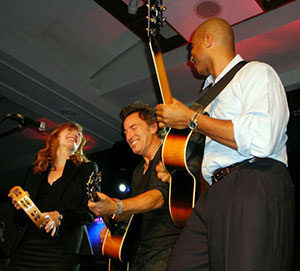 Bruce has never performed The ballad of Jed Clampett live in full, but he played a snippet of it once, during the fifth annual Joe Torre Safe at Home Foundation benefit. Saying that he had been a Yankees fan since he was a kid, he played a riff on The Beverly Hillbillies theme about Joe Torre heading for Beverly Hills and then went right into a take of California sun. 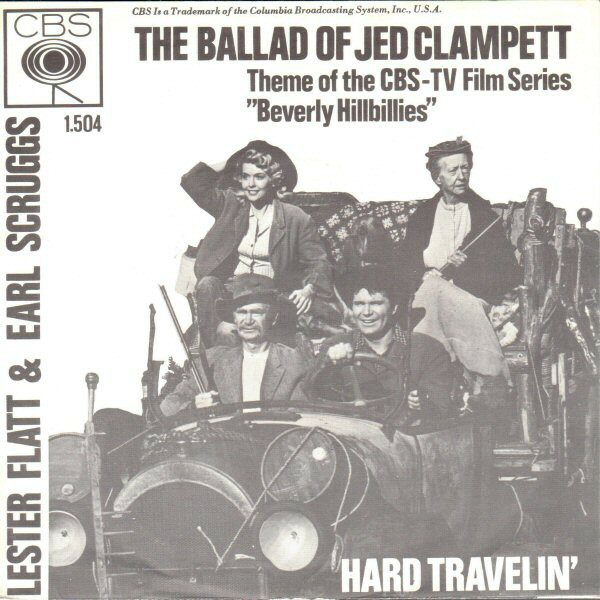 "The Ballad of Jed Clampett" was the theme song for The Beverly Hillbillies TV show and movie, providing the back story for the series. The song was written and composed by Paul Henning, and recorded by bluegrassmusicians Lester Flatt and Earl Scruggs, with Lester Flatt on vocals. The song was sung by Jerry Scoggins for the opening of the series. Weird Al Yankovic merged the first two stanzas of the Ballad with the instrumentals to the Dire Straits song "Money for Nothing" in his 1989 single "Money for Nothing/Beverly Hillbillies*", which was written for his film UHF. Kinfolk said, "Jed move away from there"
Hills that is, swimmin' pools, movie stars. Beverly Hillbillies, that's they call 'em now. Nice folks, you all come back here.